spoonacular makes it possible to search more than 330,000 recipes from across the web. But what if you've already found the perfect recipe on another food blog or recipe site? In this case, there are a few ways to add any recipe to your spoonacular recipe boxes, depending on whether you are using Chrome, Firefox, Safari, or another browser. 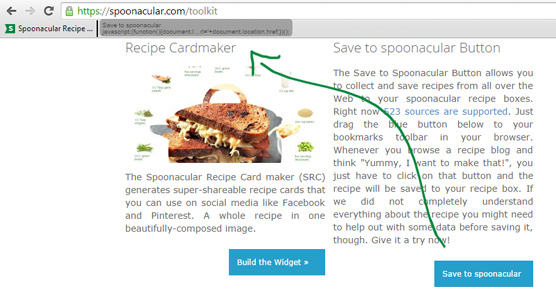 Our spoonacular recipe saver/clipper is available as a Chrome extension, Firefox add-on, and Safari extension. Once you have installed one of these recipe saver extensions, you just have to look for a green recipe card in your address bar (far right) when browsing recipes across the web. Note: you will not see the recipe card unless you are already on a recipe page. It is not visible on other websites. 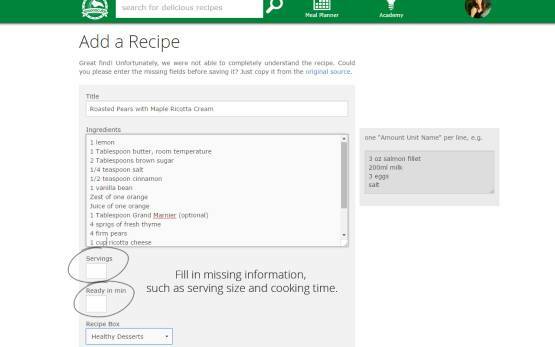 When you click the green recipe card, you will then be asked to select which of your recipe boxes you would like to save the recipe in. By creating recipe boxes, you can organize recipes into categories such as breakfasts, pasta dishes, desserts, etc.  If the recipe isn't formatted correctly or if the serving size or cooking time aren't provided, you will have to enter some details yourself to help the recipe clipper out. This whole process takes a few minutes (at most) so you can use the recipe saver to "clip" recipes whenever you run across them, or even transfer recipes from a different service once you rightfully decide to switch over ;) By the way, the recipe clipper also works with Pinterest recipes if they are recipe pins like these. 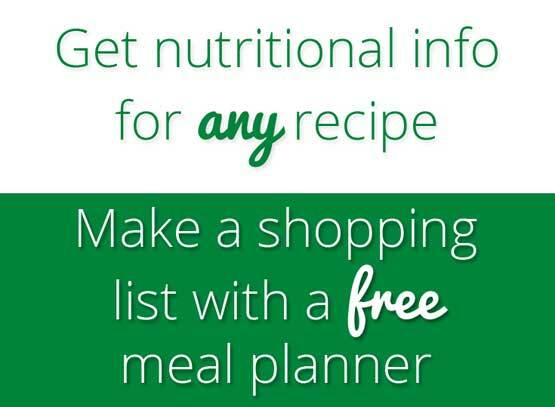 Once you've saved a recipe with our recipe saver, you can see the complete nutritional information for that recipe. You can also use saved recipes in our free weekly meal planner, which allows you to drag and drop recipes from your recipe boxes directly onto your meal plan (the nutritional information for the entire day is automatically calculated for you too!) Finally, you can search your recipe boxes without adding any tags or keywords yourself. If you can't remember the name of the recipe you saved, but you remember "chicken with lemon and capers" you'll have no trouble finding that chicken piccata recipe again. After clicking the button you will be taken to spoonacular where you can choose the recipe box you want to add the recipe to. Again, these recipes boxes help you organize your recipes into whatever categories you want, from Meatless Monday lunches to Paleo desserts. Note: You may have to fill in some missing details if the website does not format its recipes properly (for example the ingredients or serving size). Once we have all the details, you just have to click "Save the Recipe" and choose which recipe box you want to put it in. All done!